The latest in football, health and performance.. Advantages & Disadvantages of the Low-Carb, High Protein Diet! It’s that time of the year when everyone is feeling guilty after stuffing themselves with mince pies and Christmas turkey, then gulping the beer and wine on new years eve. Then comes the ritual of the new year’s resolution to eat healthy and shed the excess weight which usually fails come mid-January. A big reason a lot of diet’s fail is we cut our meal portions drastically then spend the whole time hungry, staring at the clock until our next meal. There are so many ‘diets’ out there in the modern day, each with it’s ‘pro’s’ and ‘cons’ with every expert giving a different opinion, it’s hard to know which is the right way to go. A very popular diet that tends to get a bad rap in the media, is the ‘high protein, low-carbohyrate’ diet, offen referred to as the ‘Paleo’ Diet. The ‘Paleo’ Diet works on the basis on foods prior to agricultural revolution, such as fresh fruit, vegetables, meats and seafoods (which are high in beneficial nutrients). These foods have soluble fiber, low in monosaturated fats and a low-glycemic carbohydrate index) and is based on the ‘hunter-gatherer’ nature of our ancestors. There are many advantages to ‘low-carb’ nutrition however it is not for everybody. There are some genotypes that do poorly on a low-carb diet. 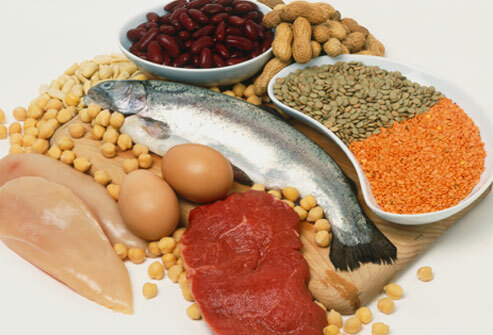 The first advantage is that this diet promotes muscle gains while reducing fat stores. Insulin sensitivity is decreased due to the low sugar content, meaning fat loss is more sustainable. The Paleo Diet also reduces inflammation. High insulin levels from high carb-eating are linked with inflammation markers, possibly producing joint pain. As a result, it also lowers blood pressure. The Paleo Diet has also been shown to Increase Energy Levels. Due to the low insulin level, energy is more sustainable throughout the day meaning you feel full for longer, rather than the short spikes from sugar. A major advantage of the diet is there large portion sizes. Due to the nutrient-rich foods involved, generally there is no limit on the amount of food you can have so no more going hungry! However, with any diet there are disadvantages, which is why diets don’t tend to stick. Firstly, the Paleo Diet tends to be bland! Cutting out sugar and carbs means that diets can get repetitive, however there are many great recipes out there (try http://punchfork.com/paleo)! Secondly, the food preparation time is often greater (no more 2 minute noodles!). Constipation can be an issue but fiber supplements such as flaxseed can fix this. Last of all, there can be possible nutrient deficiencies so it is important that you seek advice from a doctor or nutritionist if you are concerned. As with any diet, we recommend that you seek medical advice on deciding what is right for you. It’s important to remember that exercise is also a vital component of any weight loss program as well. Make 2013 the year you kept your resolution!! 1. High-Protein Diets cause kidney damage – not recommended for existing damage, no studies to say that it causes it. 2. No Dairy means calcium deficiency – Bone-demineralistion is caused by alkaline imbalance due to grains, excess salt, fatty meats and cheeses. 4. Grains are the best source of fiber – Vegetables are far more fiber-rich!